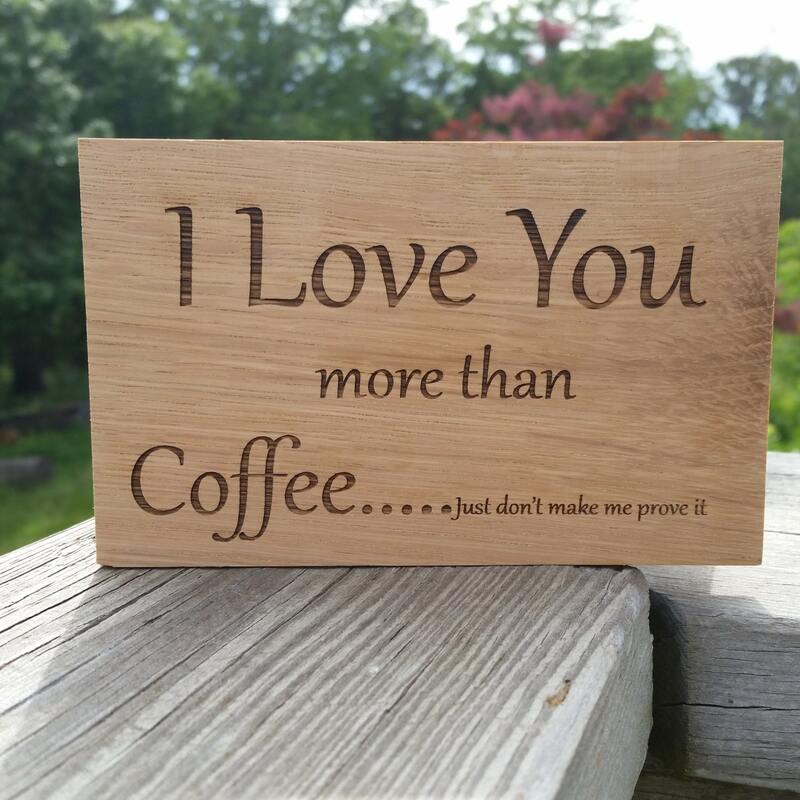 I LOVE YOU MORE THAN Coffee...... just don't make me prove it. sign can be customized with your choice of words. This beautifully hand crafted and laser engraved sign will make a special gift for anyone on your gift list male or female.